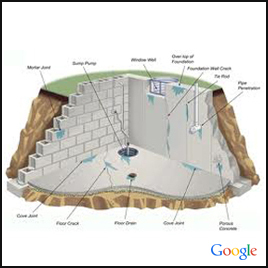 Because basements and cellars are sunken into the moist ground, they are more susceptible to damp problems. Let us help you renovate. Tanking is the conventional damp proofing of basements and cellars. Generally you will find tanked basements in older buildings. When buildings are constructed, stone foundations are sometimes laid with no mortar between them or small quantities of mortar added to fill the cavities. Due to the hydrostatic pressure from the adjoining earth, walls of these buildings would leak. The method of basement tanking was developed primarily in order stop these leakages. Usually, a special coating called slurry is applied on to the basement walls in such a way that it creates a ‘tank’ around the basement. This shielding acts as a barricade to ward off dampness from getting in. Tanking forms a smooth, spotless surface on the wall that provides damp control and also adds to its looks. Basement tanking not only refers to cement coatings. Tanking can also be provided with bitumen coating, paints, epoxy resins or sealants. When tanking is done by us, special care is given for weaker areas of the structure such as wall-to-floor junctions to ensure complete damp protection. Be it a basement, cellar or any underground structure, let us provide you the most fitting tanking solution.